While reading the article Hawaii’s Beaches Are in Retreat, and Its Way of Life May Follow on The New York Times's website, I was surprised to find out that sea levels do not rise around the world at a uniform rate. Assuming that the global warming is true (I think there's enough credible evidence for it - but I don't want a debate on the veracity of global warming - therefore, just assume it's true), what may be the reason for the non-uniformity? I must admit I'm not sure about the last of these as it seems to me it would be a very small effect. Finally, another longer term effect I've seen mentioned in some discussions is that land rises as it's freed from the weight of the ice. The north of the UK is still rising, and the south still sinking, after the ice melted at the end of the last ice age. Temperatures – Hot water is more voluminous than cold water, hence sea level may rise more in the Tropics. Winds – The dominant winds in a region affect the shape of the seas. 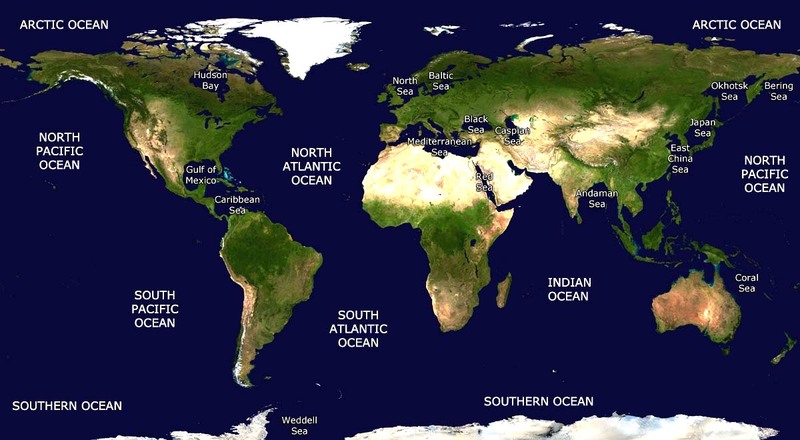 Oceanic currents – Global warming can cause changes in oceanic currents, which would have a direct impact on local sea level rise. The coastlines’ shape and the tectonic settings can also affect the response of a given location to sea level change. There is also another effect. Assume first the "pristine" situation in which no ice has melted yet. The Earth is (locally) non-flat: there are huge parts of the Earth mass above, as well below the sea level. This means that some landmasses exert a slightly higher (but high enough) "force" of gravity on different parts of the total water mass. Sometimes the effects of the non-uniform distribution of above-sea-level may cancel, but in general, the effect is different almost everywhere and sometimes strong enough to distort an even distribution of the sea level rise (when you don't take the other effects in account). Now imagine a new situation in which all the ice has melted. Clearly, the sea level will have risen, but the effect of the "new" masses without ice, and the by then gone floating ice sheets (of which the arctic one has the biggest influence above sea level; there is also a gravitation changing effect of the landmasses above sea level because they are flooded, but I think this effect is negligible) on the global water mass has changed. Which will result in a new, uneven distribution of the gravitational forces on the new, risen sea level. See, for example, this article. Not the answer you're looking for? Browse other questions tagged fluid-dynamics fluid-statics geophysics oceanography or ask your own question. How loud would a sound have to be to be heard around the world? Why is it cold on the sea floor if pressure heats things? Does the sea level increase if an iceberg melts? How does melting of Antarctica's ice cause rise in sea level? Why does not a bubble in a thick hand sanitiser not rise? Why does the pressure change on uniformly mixing two liquids? If the water is not viscous, will the board rise?